Upon her marriage to vampire Edward Cullen, Bella is whisked off on a romantic honeymoon in Brazil. However, when she discovers that she has unexpectedly become pregnant, Bella's life becomes dramatically at risk. As Edward tries to persuade her to save her own life instead of this mysterious fetus, Bella instead decides to carry the half mortal/half vampire being, stunning the entire vampire world and pitting the Volturi and the Cullen's against each other once more. It's been a while since I last did a Twilight post, and alas, we are at the final book! I was really looking forward to this re-read in particular, because Breaking Dawn is a whirlwind! I feel like so much happens from beginning to end, that the book alone almost feels like an entire series in itself. While this is definitely not a favourite amongst most fans, it did raise a lot of questions for me that I never had before. Also, I didn't hide spoilers because I feel at this point, everybody knows what happens in this series. But for whatever reason, if you don't wanna know details, proceed with caution. First things first, as my professor pointed out, this book contains so many pro-life/pro-choice undertones. For twelve year old me, these themes went straight over my head! Bella wants to keep carrying her baby even though it is harmful to her, while Edward and most of the other Cullen's want to terminate it. Now, no matter what side of this argument you're on, you cannot deny that these themes are blatantly obvious in the novel. My professor immersed us in essays around the subject and I just can't believe I never realized this when first reading the book. Who says Twilight can't get a little political? On the controversial side of Breaking Dawn, we have Jacob imprinting on Bella's baby. Imprinting is basically when a werewolf decides that they are soulmates with a girl, no matter the age, and will protect her like a sister until she reaches legal age, at which point they could start a romantic relationship, though it is not required. It sounds pretty gross, because, well, it is. Jacob as a whole in this book is pretty unlikable, he's whiny and aggressive, however I did like how Meyer wrote his chapters. He does have a lot of sarcastic humour which I enjoyed. And I think it is important to say that Jacob doesn't seem to find Renesmee "attractive" when she is young. Meyer describes it more of a gut feeling that he needs to be in her life in some way. I still shudder at the thought, but I think you really need to read the book and get a whole sense of the process of imprinting to really form an opinion. I found this book a unnecessarily long. A lot of stuff happens, for example I haven't even mentioned Bella's long-awaited transition into vampire form. It was as graphic as I remember it being, but I do think that Bella was destined to be a vampire. Overall, I am ok with how the novel ended. I wished there was more drama with the Volturi in the end, however, all the characters seem to end up happy and most importantly, my favourite character Seth was protected. But, because it was so long, I found myself forgetting that things actually happened in the novel. Bella and Edward's wedding seemed pretty insignificant by the end. I guess it was an entertaining, melodramatic book, but it did take up a lot of my time. I LOVED it. It was so fun looking at Twilight from a scholarly perspective. I learnt things I never even considered when first reading the novel, and I do think I have a new appreciation for the series. Whether Meyer knew it or not, she wrote a series that has given English, sociology, and gender scholars stuff talk about for years to come. 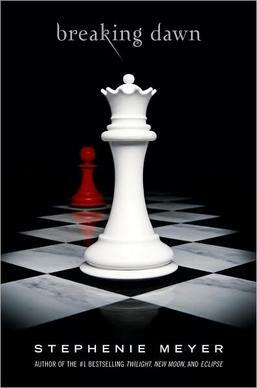 Have you read Breaking Dawn? What did you think? 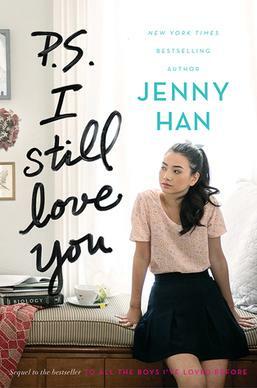 As most of you probably know, I am quite obsessed with the To All the Boy's series by: Jenny Han. It is my pick me up series, and I re-read it a solid three times a year. You all also probably know that it was turned into a pretty successful movie last August, and the sequel is in the works. I, for one, have a lot of opinions on how things are looking, and I need to get them off my chest. However, if you couldn't care less about this series, then this post is not for you. But, I hope some of you would like to share your opinions with me. First off, people need to stop calling it "To All the Boy's 2." The name of the sequel is P.S. I STILL LOVE YOU. I think that people often forget that the movie sequel will be following the book sequel, and that is the title of the second book. Now this is no shade to people who are only fans of the movie and haven't read the series. Honestly, I am way past the point of caring whether people read books or watch movies, however, I do hope the movies stay semi-consistent with the books. Now let's go to the main chunk: the casting. Jordan Fisher will be playing my all-time favourite character, John-Ambrose McClaren. I'll admit, when I first heard this news, I didn't know how to feel. I LOVE Jordan Fisher, I think he's brilliant, and I did enjoy the thought of having an often white fan-casted character being a POC. However, I'm not sure if I picture Jordan as John in my head. For context, Jordan just played Mark in Rent Live, and I think I just see him as more of a strong stage actor than a dreamy boy-next door type in a teen movie. I understand he has done teen movies before, but I'm not sure if he's past that point in his career. I think I will have to see the first look of him actually in character in order to make my final decision. They casted Ross Butler from Thirteen Reason's Why as Trevor Pike. Now, I've got some things to say. I don't know why Netflix recycles the same teen movie/tv actors to be in everything. Butler was in Riverdale, then Thirteen Reason's Why, now this. Noah Centineo was in TATBILB, then Sierra Burgess, and now in a new rom-com The Perfect Date with Camila Mendes, who also stars in Riverdale. You see the cycle?! I'm just sick of seeing the same five actors in everything I watch, and I think if they had casted Cole Sprouse as John- Ambrose, which was an actual rumour, it would've been the last straw. I just need some fresh faces please! Some more positive news, I am so happy that Madeline Arthur is returning as Chris, I think she did an amazing job. Also, Holland Taylor is playing Stormy! This is incredible news because I really thought that they might have omitted Stormy for some reason. I'm really happy that the retirement residence will still be playing a role. Also, Sarayu Blue is playing Trina! She is exactly how I imagined her to be and I'm so glad Trina is getting a significant-enough part as well. Another big news moment: Susan Johnson, the director of To All the Boy's, will not be returning. Now this worries me, because she did such a good job on the first movie and I'm not sure if a new director will mean a new vision? Still, I am remaining optimistic that the new director will still keep the brilliance of the first movie. I really don't want this sequel to bomb. This was a long post for something that may seem insignificant to a lot of people. However, I am a firm believer that if you are interested in something and you've got something to say: say it! If you are as obsessed with this series as I am, I would love to hear your thoughts. What do you think of all this news? My reading was once again dominated by books read for school, but I still did enjoy some of them! 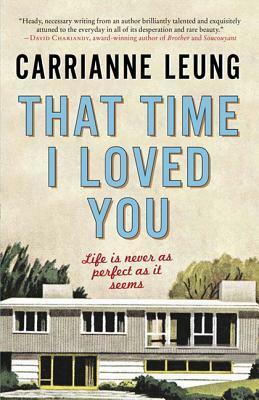 My favourite was That Time I Loved You by: Carrianne Leung. You can read my review for it here. I put up a post this month that I was quite proud of! It was my discussion, Why I Don't Want to Get Published. This post was really the first time I admitted to myself my true feelings about publishing, and I'm glad I wrote it. Nothing new, really, just work, school, and therapy. Hopefully my summer will be a lot more interesting! This Sunday I am going to see one of my favourite musicals, Dear Evan Hansen, for the first time on stage. To say I am excited, is an understatement. That was my March! How was yours? In a shiny new suburb in Scarborough, Ontario, Chinese-American adolescent June carefully watches the diverse population of her neighbourhood. Beneath the seemingly perfect exterior, each household on the block has their secrets, and, when a series of suicides ripple through the community, some secrets will be revealed. I did not think I would love this book as much as I did! I actually had to read it for my creative writing course, and my class got to video chat with the author and ask her some questions. It was fascinating to hear her perspectives, and I definitely think that I want to read more of her writing. Growing up in Toronto, I could really relate to the diverse population in the neighbourhood that Leung writes about, and this book really hit me hard. Not only was it gripping, and very shocking, but it also teaches some important lessons of coming of age, and how alike some cultures really are. This book read like The Virgin Suicides by: Jeffrey Eugenides, but better. I am not a fan of that book as I think it romanticized suicide too much, but this novel handled the harsh theme perfectly. By using the backdrop of the suicides, Leung was able to open up these stories of various neighbours from many cultures in the community, and I truly felt bad for every single one of them. I think the really unique aspect of this short fiction, is how unified all of the stories are. Although each one is from a different character's perspective, they all come together in the end. I think that Leung is really talented in writing stories that come full circle, a technique that I have not yet mastered but that I admire in a lot of authors. This novel has a lot of harsh themes. 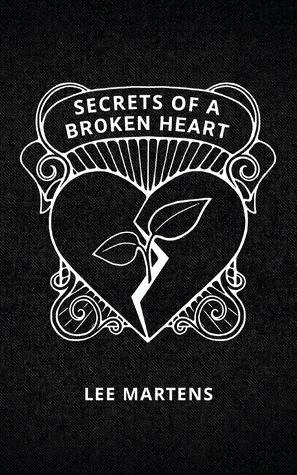 A big topic in the book is the aspect of secret keeping, and a lot of these secrets are extremely dark. However, Leung handles them very well. At the end of the novel, there is a strong aspect of hope, which I think is extremely important when handling subject matter such as this. Leung put a lot of thought and care into writing on these subjects. Overall, as someone who doesn't read a lot of short fiction, this book does not read like it at all. The stories come together so well, that it takes on the format of the average novel. I flew through it and I think Leung is a really gifted writer. Have you read That Time I Loved You? What did you think? If my mom comes across this post she will probably let out a gasp. But seriously, everyone in my personal life has just assumed that since I am pursuing creative writing in school, I want to be a writer as a career. For the purpose of this post, I am talking about being a full-time writer of fiction, because I know there are a ton of jobs that fall under the category of writing. We will get to that later. For a long time, I thought that my lifelong dream was to be published. I knew that you could not exit university and immediately become a bestseller, however I expected to do other things on the side, with the ultimate goal being writing full-time. However, I am now here to exclaim that I do not want to write as a career. Quite frankly, I'm not even sure if I want to get published. Here's the thing, I have never had the time to finish a work. I pretty much only write fiction when I am doing exercises during my class, however on my spare time, you will never see me just pick up my laptop and start writing. I like to think I have a WIP, but the truth is, I haven't touched it in about a year and the only use it has been to me is using it for university assignments. I'm beginning to find that I force myself to write. I pick up my laptop expecting to find enjoyment from entering a world of fiction, however I am more focused on checking the time to decide when I can be done. I often feel like I am on some sort of clock, that I need to start forming this WIP because if I want to get published in 5-10 years, the process needs to start now. The others in my program often talk about their extensive plans to immediately start editing after uni, start sending out query letters, and even self-publishing. However, those goals never excite me. I already get so unbelievably anxious when people in my class edit my work, that the thought of some successful executive at a publishing company reading it makes my heart pound. The truth is, I don't think I will ever be at the point where I want to share my writing with the world. I understand getting published is a dream that everyone in my program, and pretty much every writer shares, but it's not mine. I am perfectly fine with not worrying about a deadline, with not worrying about my writing being perfect, original, flowing nicely with no plot holes. Instead, I would like to just ramble, to write something that makes no sense and sharing it with myself and myself only. I want to do it for fun, but I don't want to do it for my job. So recently, a girl in one of my classes who I had helped edit an essay before, asked me to edit something else for her. She said that she loves the feedback I give her and that I would be a great editor. That's when I got thinking, maybe I don't want to write the work, maybe I want to edit it? Now forgive my ignorance, I honestly have no idea if you can even edit professionally without having published anything yourself, but I really want to expand my editing skills and maybe see if I can reach out to others and lend my expertise. I understand that editing does fall under the category of a writing job, but I quite like the idea of keeping my personal writing to myself, and helping others who have a dream that I just cannot share. So I've finally said it: I don't think getting published is for me. The process, quite frankly, stresses me out, and I don't think I will ever even finish something that is worth being put out there. This is not me just being cynical, or "giving up," this is just me being a realist. And this is certainly NOT me telling anyone else that there's no point in them trying to get published either. I have just found that with my habits, my anxieties, and my future, publishing just doesn't line up with it. Who knows, maybe one day I will change my mind, but for now, I'm just living my life without that goal in mind. In this poetry collection, Lee Martens explores themes of love, heartbreak, mental health and healing. Using poems of varying lengths, Martens uses her past experiences of journeying into adulthood to guide the reader along a path of healing after a heartbreak. Her poems each tell a different journey, but all stem from the same goal: sometimes when you have a broken heart, you need to learn to pick up the pieces and heal yourself. I'll be honest, I don't read a lot of poetry. I will pretty much always pick up the standard book over a poetry collection in a book store. I think I've also harboured some resentment towards it in the past because I have never been able to write it myself haha! However, I usually find that when I do read it, it is extremely easy to get through and easy to get lost in. That is exactly what I found with this collection. I loved the themes in this collection, as sometimes the meanings in poetry can go straight over my head and I don't understand them. However, these poems had a sort of simplicity to them, they didn't try too hard to be overly metaphorical, instead, they spoke for themselves. And I thought that was beautiful. I had a special appreciation for the poem, "Unrealistic Television." As an avid watcher of dating shows, particularly The Bachelor, that one really stuck with me. I also liked the poems that dealt with some sort of holiday or special event, such as "Valentine's Day," and "I Wrote this On my Birthday." I felt as if those poems really gave me the sense that the collection was moving me through a passage of time, almost a year in the life, and it was really cool. I wasn't able to give this collection a perfect review, and that's just simply because of personal preference. Like I mentioned before, I tend to prefer regular books over poetry collections, so I don't think that poetry will ever really resonate with me as much as the average book does. That being said, I'm still really happy I gave this book a shot, and I think that if you are a regular poetry reader, it is worth checking this one out! Favourite Book: I had to read The Prisoner and the Chaplain for my creative writing class, and the exciting thing is, I am going to interview the author! This is a fantastic crime novel from a great Canadian author. I really enjoyed my compilation of Books for People Who Hate Reading. It was fun revisiting some old favourites! Cee asks: What is a Wall? I am really looking forward to this month because it is the last full month of the school year! Then I can relax, and hopefully have a great summer. That was my February! How was yours? An 18 year old bookworm with a passion for reading, writing, and gilmore girls. Emily has read 16 books toward her goal of 50 books. 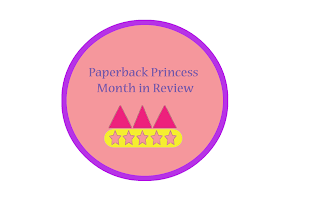 1 Star- this book was very boring and I didn't enjoy it. 2 Stars- this book was okay, but it was a bit boring. 3 Stars- this book was good, but had room for improvement. 4 Stars- this book was great, but had a few details that I didn't like. 5 Stars- this book was perfection. Some of My Favourite Blogs- Check Them Out!